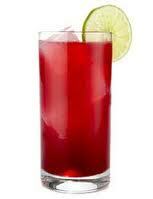 The Naked Boda drink recipe made with Cranberry juice,Rum,Vodka,. How to make a The Naked Boda with all the instructions and ingredients. Pour one whole bottle of 151 into a container. Then add the next two ingrediants. And presto. You have the Naked Boda. This drink is about 130 proof. Please drink it sparingly. Lest you be praying to the porcelain god all night long.